Millwall made it an incredible 6 away wins on the bounce with a 2-0 away victory over Barnsley in Yorkshire to leave them only 4 points off the play off places. Goals from Lee Gregory and Ben Marshall were enough to send shivers up the spines of the teams above them with another ruthless back to the walls display that keeps Millwall sitting pretty in 10th position in the Championship. The Lions played exactly the same game plan that they’ve deployed in 2018 on this remarkable run that has seen them move up from a lowly mid table to genuine contenders for a play off spot. Solid at the back, soak up the pressure, let the opposition dig themselves into the ground and use the counter attack to open up opportunities. The tactics are working a treat for Neil Harris’s team as they once again had less than a third of the possession but still came away comfortable winners and that was despite Barnsley firing in a whopping 19 attempts on the Lions goal. 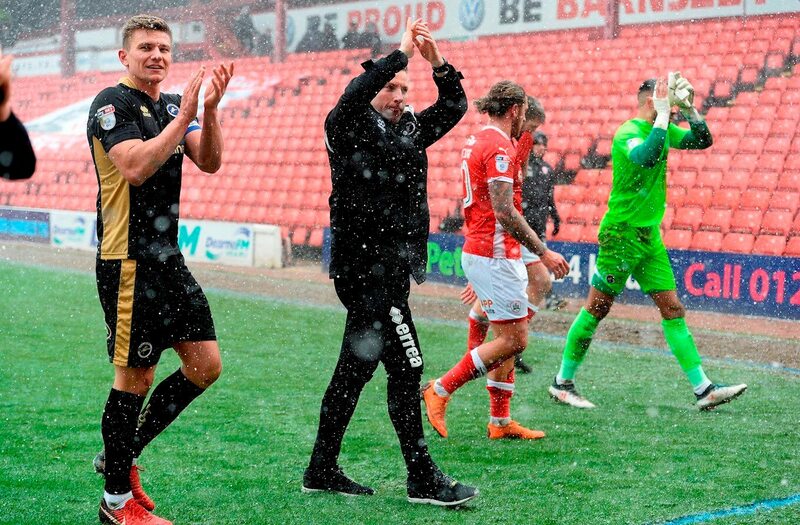 Barnsley are now in a right old fix as they saw Birmingham win 3-0 at home to Hull City to leave both Barnsley and Birmingham City on 33 points in 21st and 22nd position. Millwall only had three shots on target but to show how ruthless they have become in the past couple of months they scored with two of those and the result meant Millwall equalled their club record for away wins. No mean feat! 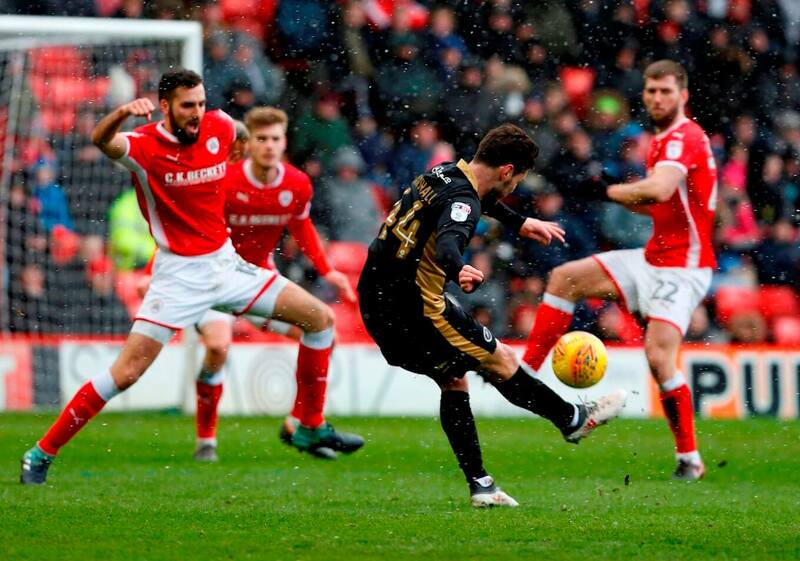 Barnsley also equalled a club record with 11 Oakwell matches without a win after this 2-0 home defeat. The visitors scored in both halves after sloppy passing from the home team who have now won two of their last 24 matches and three of 28 home league games. Manager Jose Morais made three changes to the side that drew 1-1 with Norwich City on Saturday. Goalkeeper Adam Davies missed the match as his partner was due to give birth, meaning Nick Townsend came back into the side one game after being dropped. In very snowy conditions, Barnsley began well with plenty of crosses being pumped into the Millwall box, especially from Mamadou Thiam. But it was Millwall who took the lead on 24 minutes when Mallan misplaced a pass in the centre and the Lions counter-attack ended when Jed Wallace slipped through a pass for Lee Gregory to beat Nick Townsend. George Saville rounded Townsend but then fired over from a tight angle with Barnsley defenders on the line. Pinillos horrendously sliced a clearance which fell perfectly to Steve Morison in the box but the veteran striker shockingly missed the ball five yards out to complete a terrible passage of play all-round. The rest of the half belonged to the Lions as Barnsley looked lacking in confidence. Barnsley’s best chance came when Liam Lindsay headed a Thiam corner just over the bar while Gary Gardner and Mallan failed to really test Millwall goalkeeper Jordan Archer from long-range. Barnsley came close with goalkeeper Jordan Archer twice diving low to his left to tip shots around the corner from Lindsay and Kieffer Moore. But it was Millwall who scored when Marshall brilliantly curled a lovely shot into the top left corner from 25 yards. Millwall were close again with both Gregory and substitute Fred Onyedinma missing one-on-one opportunities. Oliver McBurnie thought he had pulled one back with a header which was hooked off the line by defender Jake Cooper with the linesman disallowing the goal. Even in stoppage time Barnsley had two more chances which went begging to leave Millwall with the points in the bag.